40 Days of Preyers seems to be rather a fizzle in Canada this year. First, they're down to only 8 cities -- and a part-time vigil in Saskatoon -- from 15 in the fall last year. 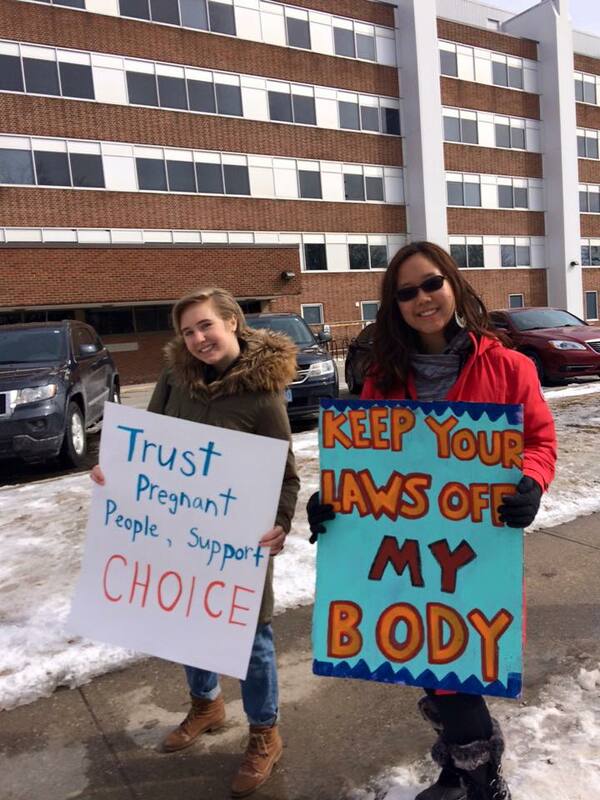 There's not much bragging on social media of huge turn-outs or of women successfully coerced convinced to turn around. And if a Québécois MNA is successful with her private member's bill, all such predatory demonstrations would be barred in Quebec. 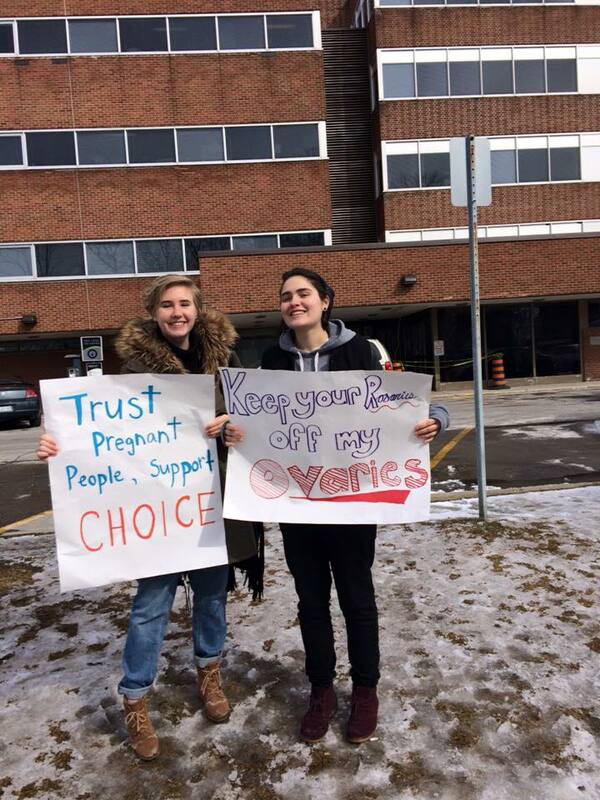 Shorter: Anti-choice is losing in Canada and they know it. We reported on one counter protest in Calgary. 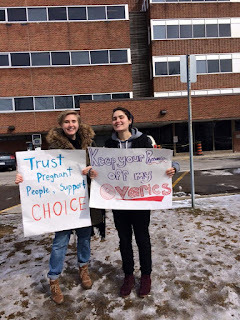 Now here's a report by pro-choice activist Wednesday Bell from Guelph, where, note, the fetus freaks of targetted Guelph General Hospital which does NOT perform abortions. Go figger. 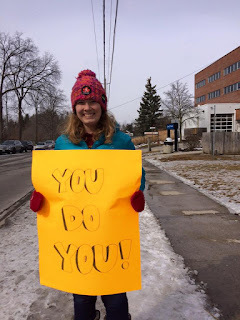 The counter protest was awesome! 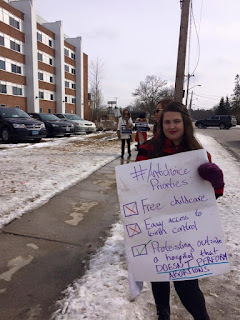 We outnumbered the anti-choicers the entire time, and they left before we did! 3. The hospital security guard supporting us! 2. 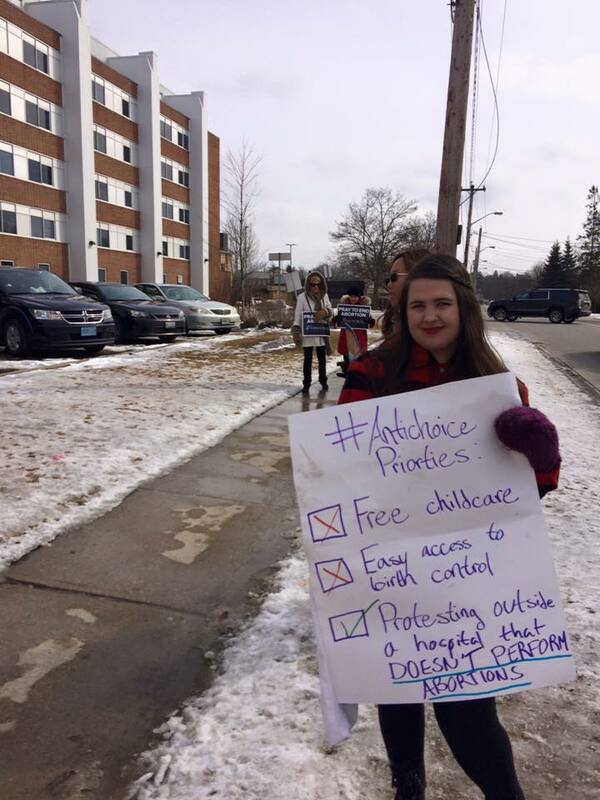 One guy walking up to us just to tell us he was pro-life. Okay? Good for you? And the signs were fabulous.